Ok, friends, just in time for the heart of ice cream season and backyard barbeques, I bring you the most delicious recipe ever. 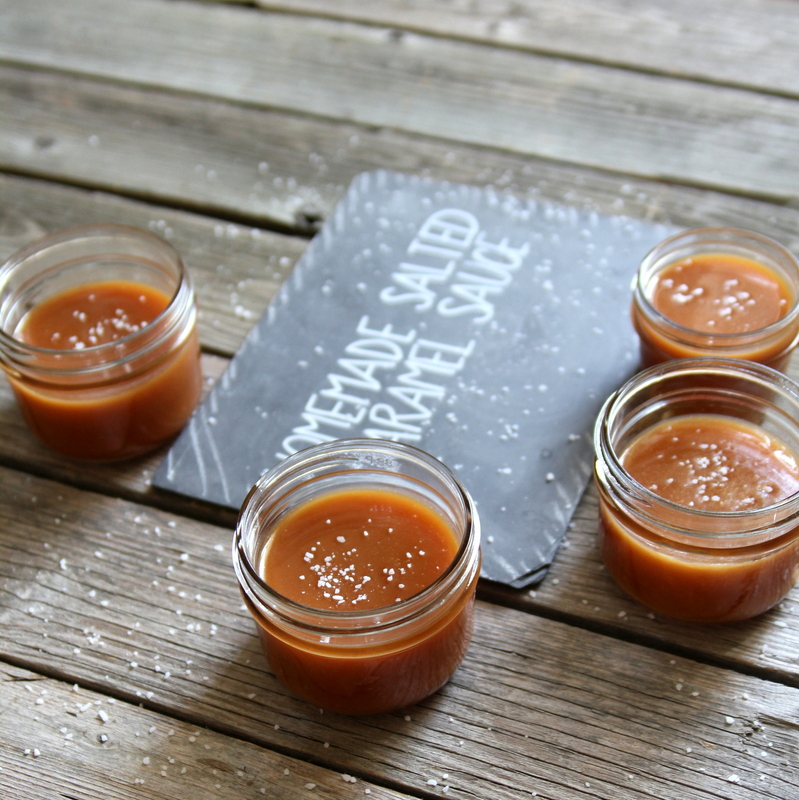 I type this knowing that this is dangerous information to share with you- but this homemade salted caramel sauce is so good (seriously, amazing) that I can’t keep it to myself. And it’s really easy too. 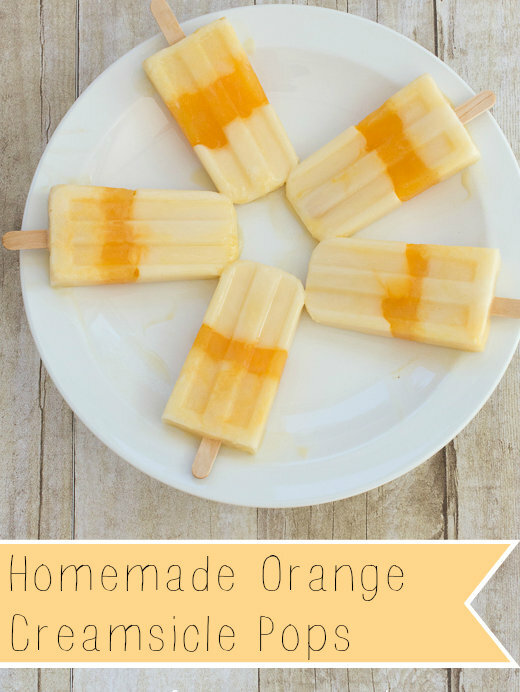 And the perfect ‘orange’ project/recipe for Color Your Summer. 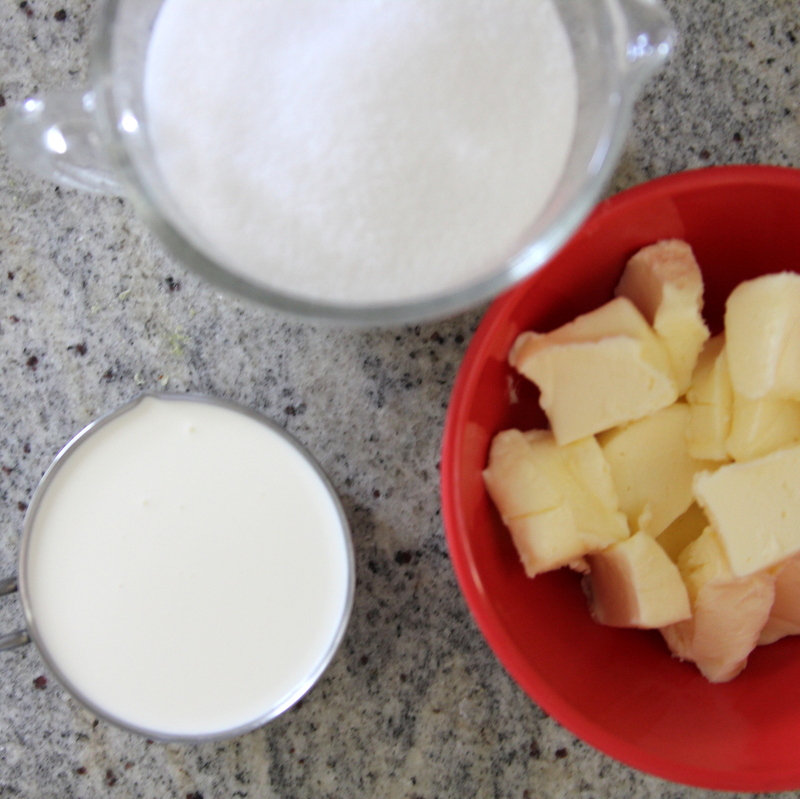 Gather heavy whipping cream (room temp), butter (also room temp), sugar and salt (if you have a salt grinder, even better). Measure out all of your ingredients so they’re ready to go once you start (it’s a little finicky to stir and watch for the sugar to melt and you want to be ready). Also, if your butter is cut into pieces, it makes life easier. 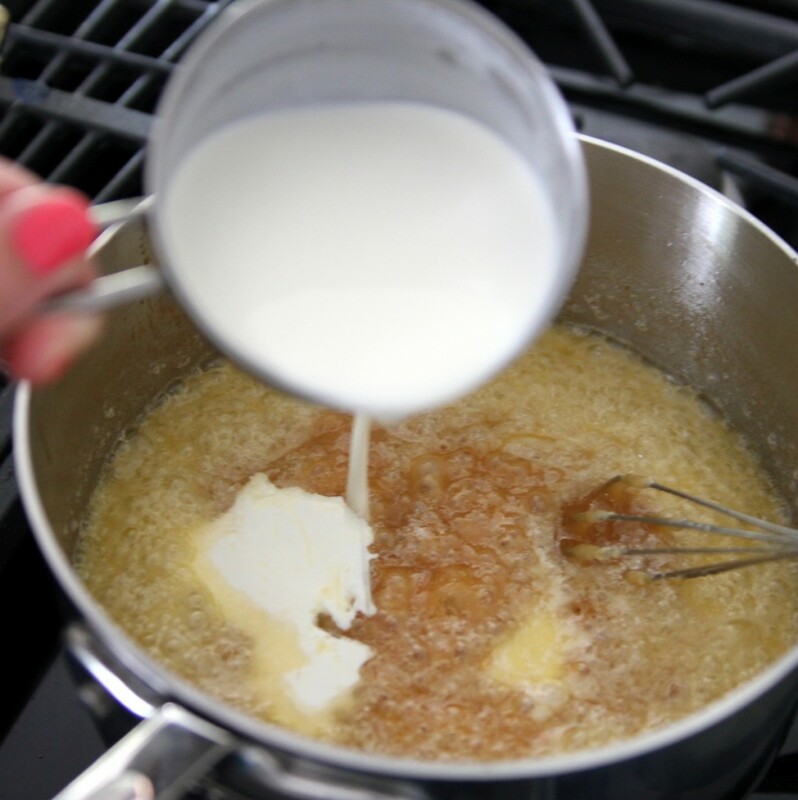 Add 2 cups of sugar to a large saucepan (the ingredient list is short, but it does bubble, so use a larger saucepan). Put on medium heat and wait for the sugar to start to melt. When it does, start whisking. It’ll get clumpy (keep whisking) and then start to turn to liquid (keep whisking). 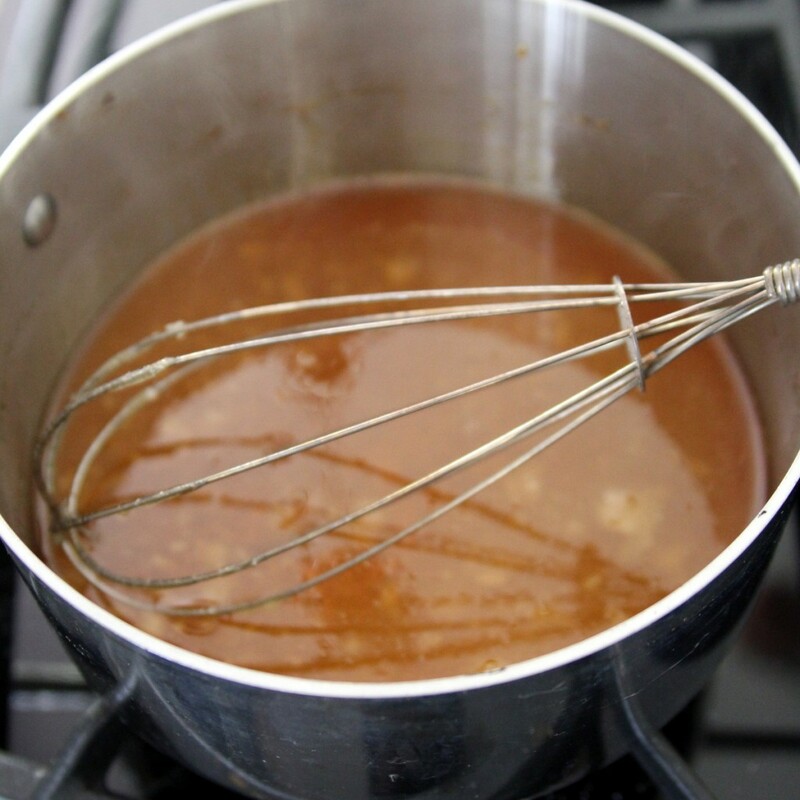 Once it’s melted, stop whisking and check for an amber, caramel-ish color. When you see that, add your butter. 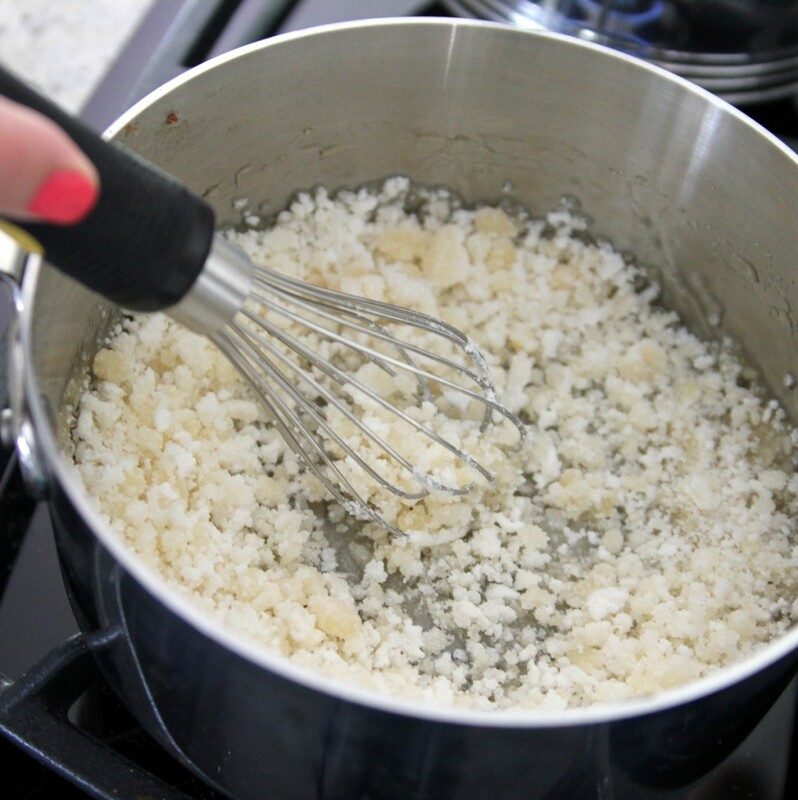 Stir/whisk until the butter is incorporated. Remove from heat. Slowly stir in cream. 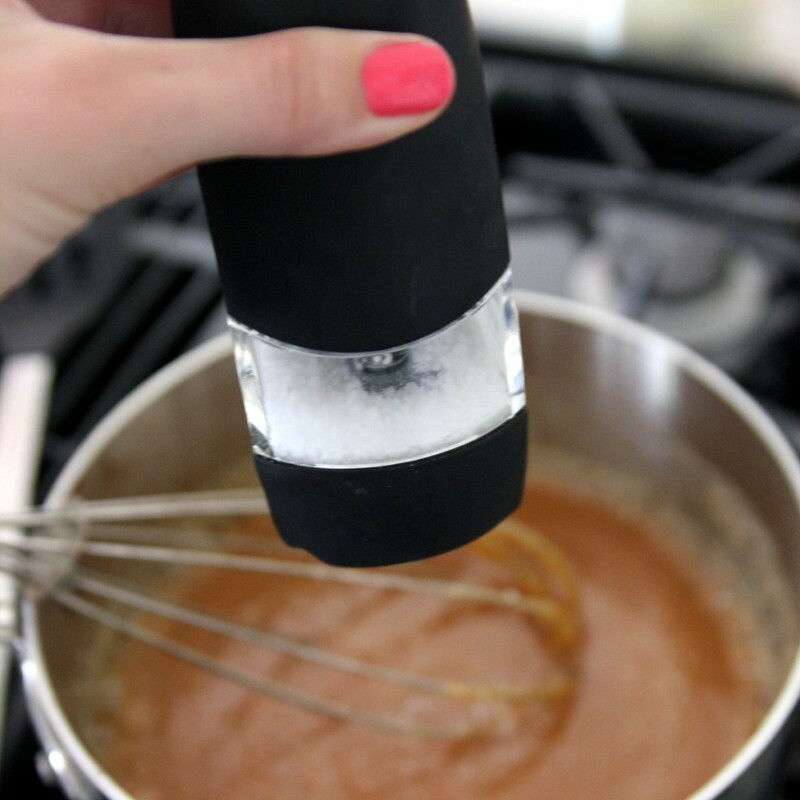 Stir in about a tablespoon of salt- if you have a salt grinder, now is a great time to use it (the small salt flakes absorb right away). Let the pan sit for about ten minutes (don’t touch the caramel, or the whisk, unless you want to get burned… don’t ask how I know). Pour into jars and cool to room temperature. Store in the fridge for 3- 4 weeks (or until you try it and eat the entire batch in one sitting). As a bonus, these are perfect favors for an Ice Cream Party if you have one of those on the docket. 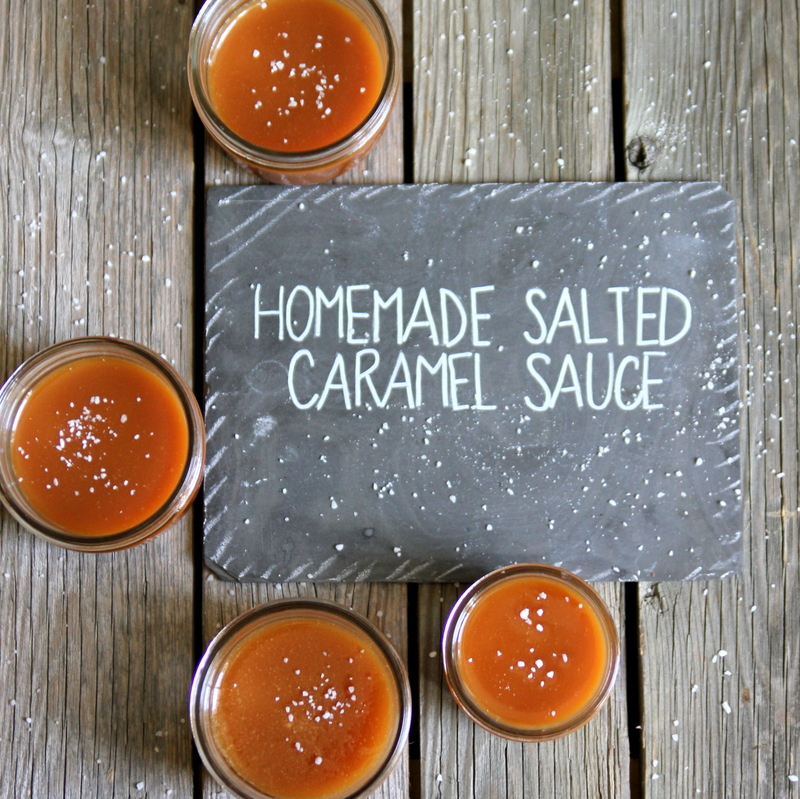 And this salted caramel sauce is the perfect topping for ice cream, cheese cake, fruit, etc. Or, just to eat with a spoon right out of the jar (I may or may not know this from experience). So good friends! 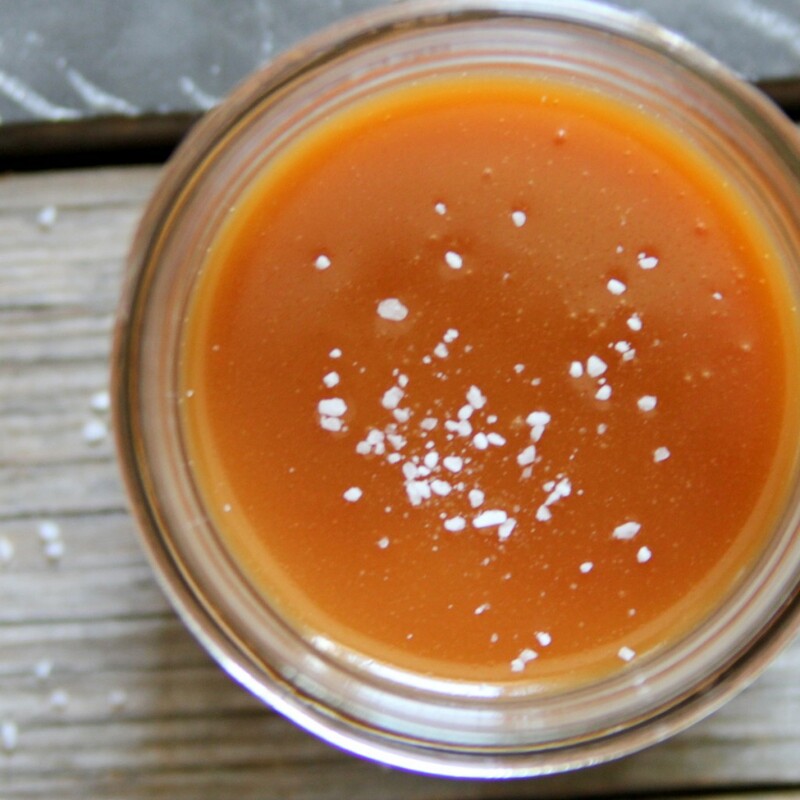 While you’re gathering caramel sauce ingredients, be sure to take a break and check out more orange Color Your Summer yumminess at Delia Creates today! Oh my, you may [or may not be] the perfect answer to putting back on the weight this last round of gut-busting illness took off too quickly to be pretty. Caramel flavor has been at the top of my list for years and salt only makes everything better everyday so it’s impossible to see how this can be anything but Excellent in every regard… Thank you. Looks yummy! What size jars did you use, and how many did the recipe fill? Hey Caitlyn, I think they’re pint sized jars. I made two batches of the recipe and filled five of the small jars and one medium sized mason jar. Hope that helps! wow! Was easier than I thought, thank you – trying this out for Xmas gifts and will be a big winner! Good to know about the organic sugar- thanks for the heads up! Saw it. Pinned it. Made it. 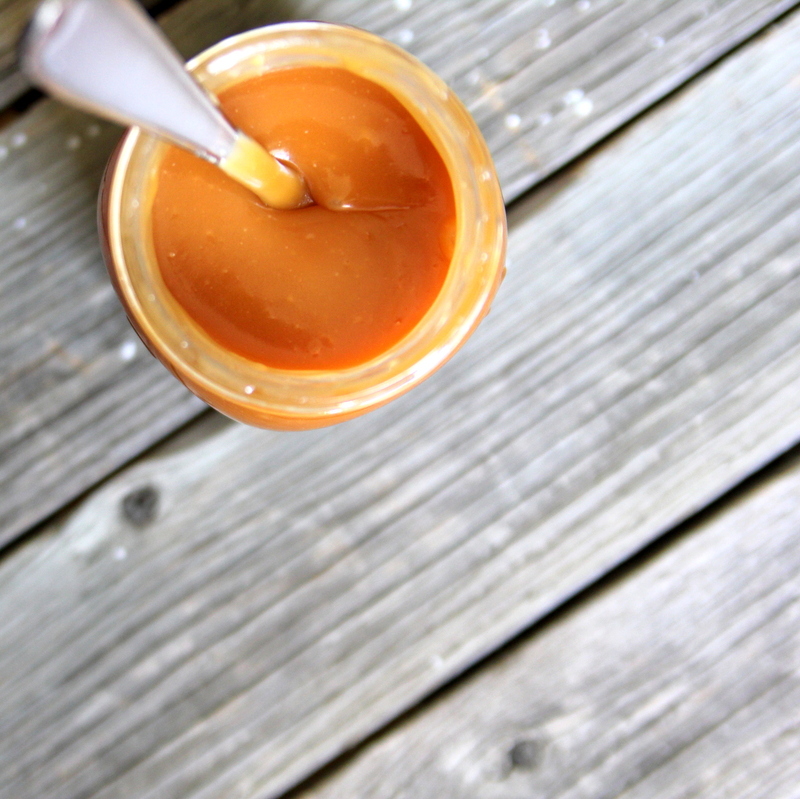 Hi, this is my first attemp making caramel sauce. 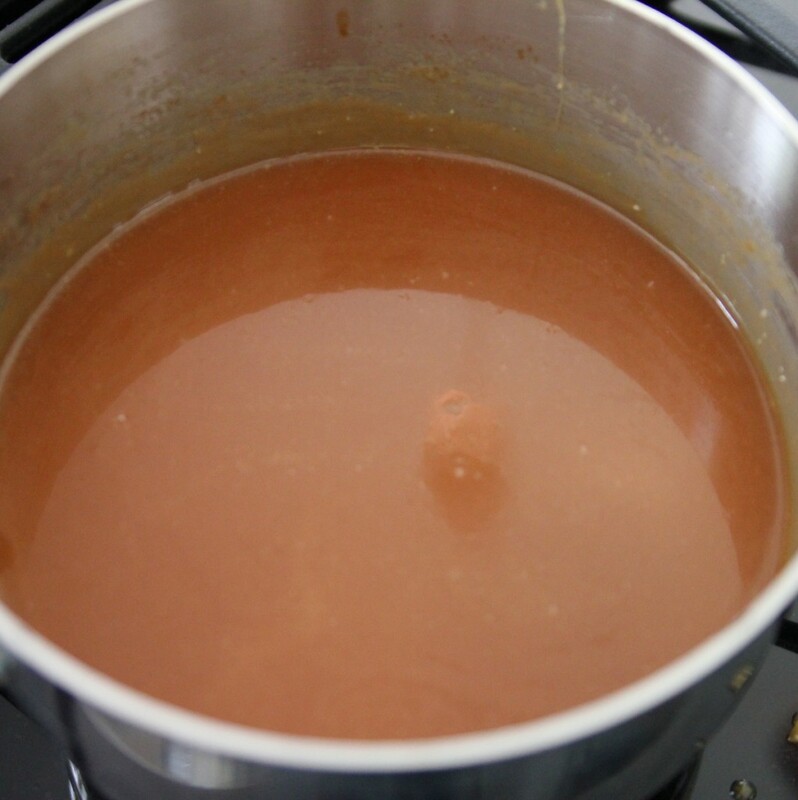 I have tried this recipe and i overcooked the caramel so it has darker color and taste bitter. Does anyone have suggestion to fix it or what can i do with that overcooked caramel? 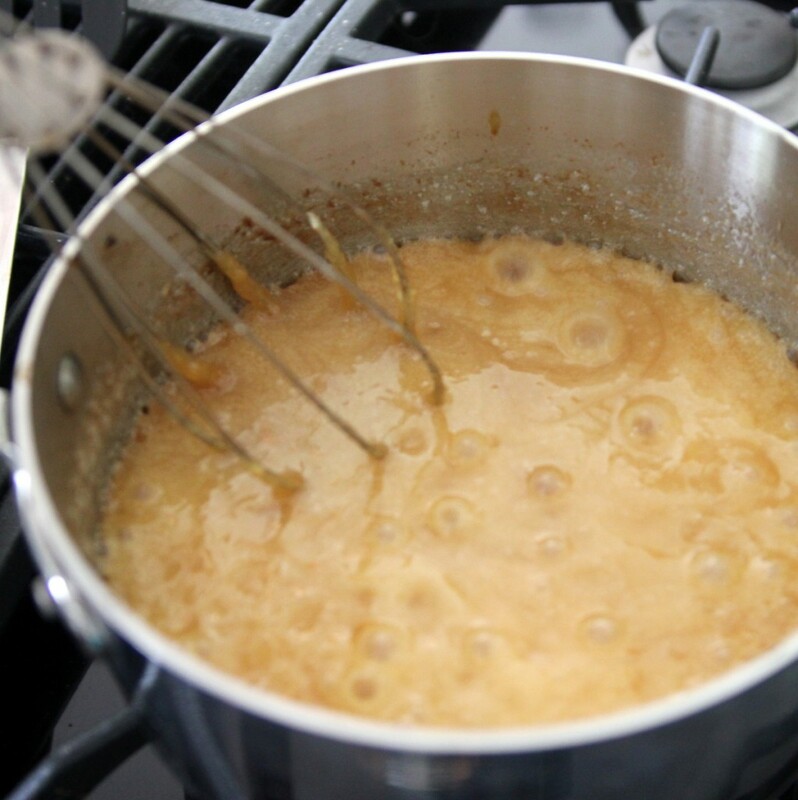 I don’t have any suggestions for the overcooked caramel… You do have to watch the mixture extra closely as it cooks, though. Sorry yours didn’t turn out! For those who are lactose-intolerant, such as people of color, make whipped cream from canned coconut milk. Adds a “wow” factor to the flavor, too! 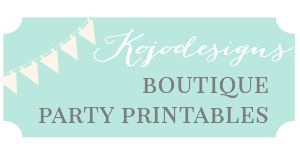 I would love to make this for hostess gifts, teachers gifts, etc. Do you know what the shelf life is for it? 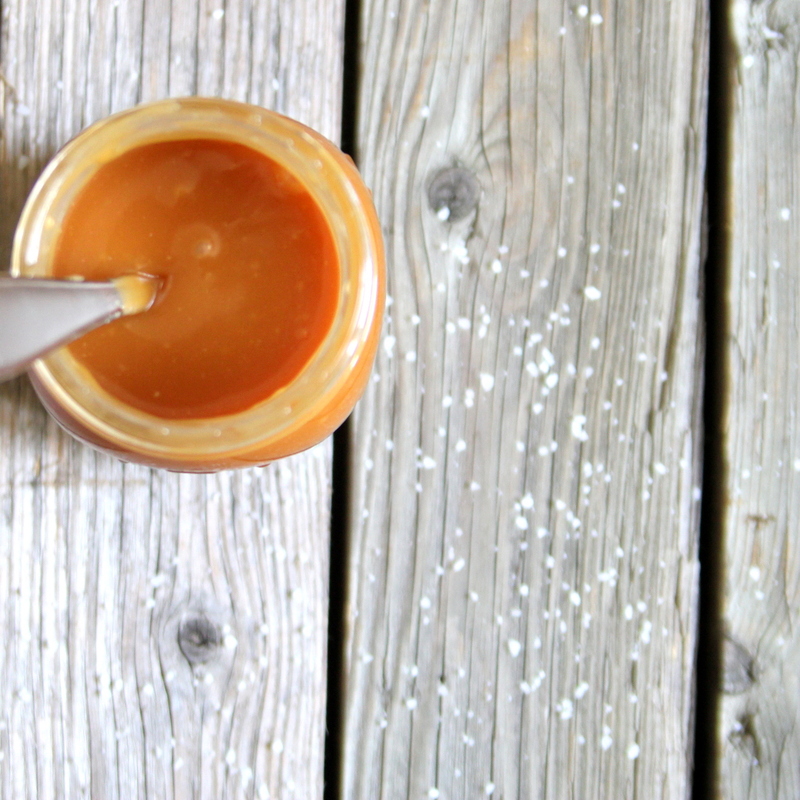 Once the jar is opened, does it have to be kept in the firdge? What is the shelf life then? Thanks so much for sharing this recipe. Hey Donna! The shelf life is about a month… and YES, refrigerate after opening! Hope that helps!